Setsubun is an annual event in Japan that takes place on February 3. It is the day before spring and is a time when Japanese people perform a ritual called mamemaki in which beans are scattered to ward off evil. Another element of Setsubun is the consuming of ehomaki. 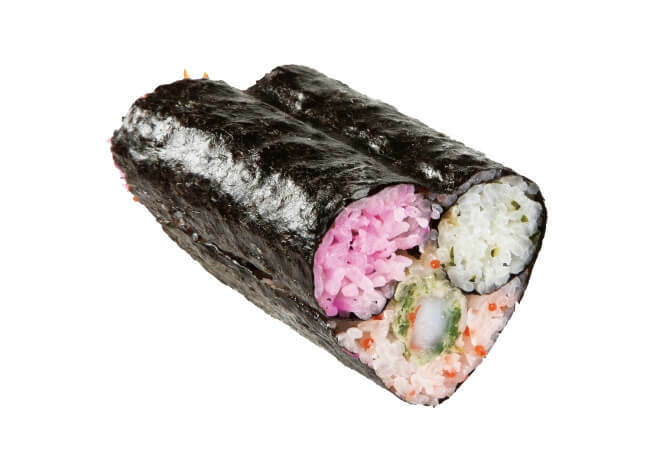 These large sushi rolls are to be eaten facing a set direction each year for good health all year round. This year’s direction is East-Northeast. 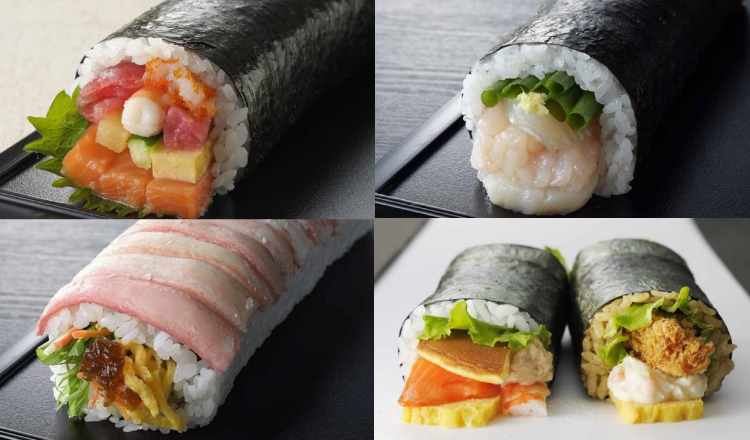 We have created a list of ehomaki to be enjoyed in 2019 that includes classic rolls and more unique ones. AEON Retail has announced 22 varieties of ehomaki to be sold at nearly 400 branches of AEON and AEON Style on February 2 and 3. This includes Sushi Yoshitake’s Goku Ehomaki―made by a Michelin 3-star restaurant that has ranked in the Michelin guide for 8 consecutive years―which incorporates sushi techniques from before the Edo period; as well as the Doraemon Ehomaki. *Variety stock may differ in certain regions. Daimaru Tokyo is now serving over 150 varieties of egomaki until February 3. 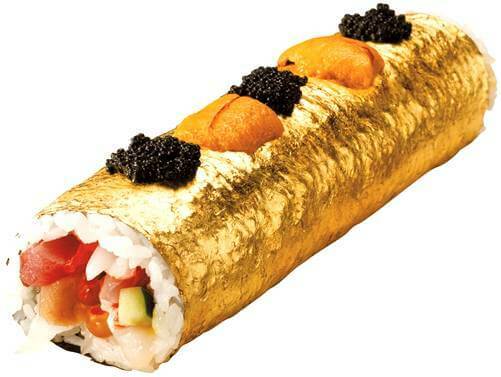 This includes a fully-packed ehomaki made with 19 ingredients including sea urchin, caviar, tuna, fugu and more. 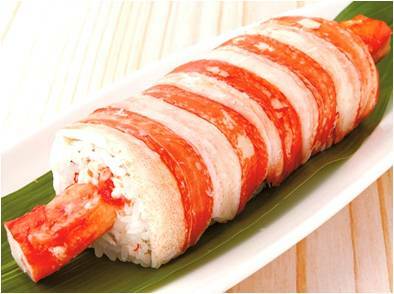 There’s also a red king crab ehomaki that lovers of crab won’t be able to resist. InterContinental Yokohama Grand’s “Ehomaki Rolls” sell out every single year, and they’re set to return once more in 2019 for a limited time. 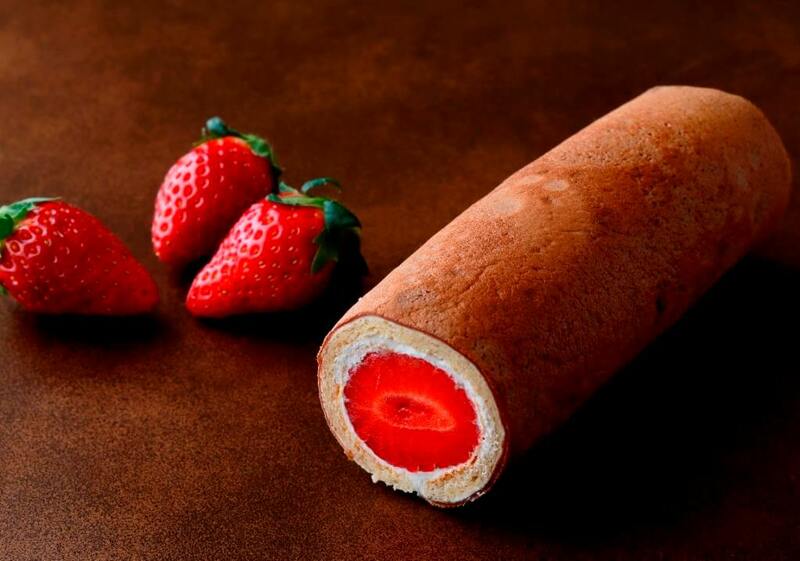 Available from January 26 until February 3, this dessert ehomaki is pumped with 2 varieties of high quality fresh cream and 5 whole sweet strawberries. The Nagoya branch of Matsuzakaya is serving 140 types of ehomaki in 40 of its stores on floor B1F. One of the most eye-catching options is the cute heart-shaped ehomaki that’s filled with shibazuke, flying fish roe and shrimp tempura. There are only 50 of these being sold so be sure to get your hands on on quick! Feeling hungry yet? When in Japan, do as the Japanese do and get your hands around a delicious ehomaki. Popular Online Videos Worldwide from Japan – Over One Hundred Million Views!